Copyright 2012 Marvel & Subs. 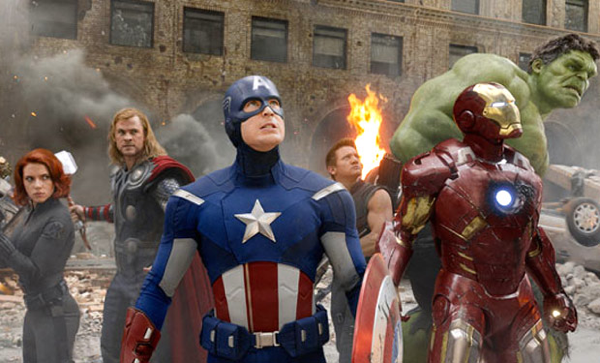 Videomaker recently interviewed Jeffrey Ford, the editor of blockbuster hit The Avengers to give aspiring big-screen filmmakers an inside look at what goes into bringing comic book heroes to life. Jeff shared how got his start, who he looks up to and the technology that allows him to make movies people love to watch. It didn’t take long for Jeff to mention his tool of choice – in fact, he “can't imagine life without a program like Avid. It's like trying to play the piano without the piano. You just have to have it." The all-star editor gives props to Avid for its versatility and suggests it has been his saving grace throughout this career. "Working on The Avengers, we have literally hundreds of thousands of shots and effects and audio you're working with. Avid's data management features are critical in making sure we meet our deadlines. Some shots had four to six different microphones, so being able to find that extra bit of audio, or angle of a shot could have really delayed the process. Avid makes it really easy to control your content." Also check out this recent Avid Rough Cut interview with Jeff from the set of Iron Man 3.